When Disney World opened in 1971, the space race was officially on. The entire world was space-crazy, and people wanted to experience space for themselves. Walt Disney attempted to bring together real life and fantasy, and space was center stage. Let’s take a look at the history of space in Disney World! First, Walt created Tomorrowland. At the center of the Disneyland version, which opened in 1955, was the TWA Moonliner based on Disney’s Man in Space television show. This was the only real space-themed attraction at the time. The second Tomorrowland opened in Disney World in 1971, but it was nearly empty when the park opened. It didn’t stay that way for long. Let’s take a walk through the history of space in Disney World! Flight to the Moon opened on December 24th, 1971. It was nearly identical to the Disneyland version. This attraction typified an entire kind of theme park attractions. Seats are set in a circle with a show area in the middle. In this attraction, guests got an inside look at the upcoming flight during a pre-show then proceeded to the showroom where you would experience a rocket launch. It felt like the entire room shook, and once you were through the atmosphere, the seats simulated a lack of gravity. Once you arrived on the moon, you met an astronaut who was working there. Then, you’d fly over the moon’s surface, which you could see from a viewing window in the bottom of the ship. A meteor shower ends your trip early, and with some shaking again, you return to earth. Flight to the moon closed in 1975. It marked the first lesson learned that Tomorrowland would quickly become outdated time and again because “tomorrow” happens faster than appropriate attractions can be built. Astro Orbiter was one of the first attractions to be added to Tomorrowland once a final plan for the land was in place. The simple yet captivating ride opened in 1974 and is based on a similar 1956 attraction from Disneyland. 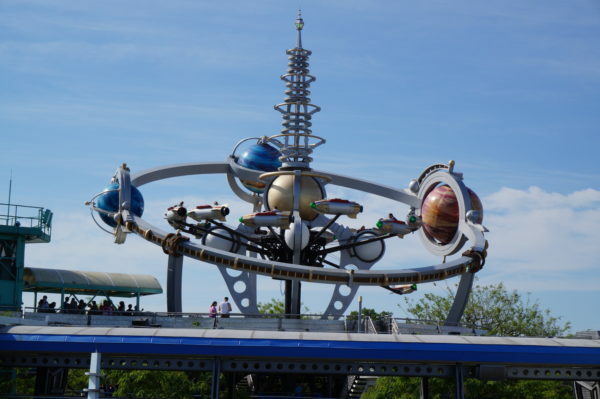 Astro Orbiter has a prominent location in Tomorrowland. The style of this attraction is commonly seen in theme parks: there’s a central column around which several arms circle. The ride operates by spinning around the column while riders sit in cars attached to the end of each arm. Specific to the Astro Orbiter, the center column is a Saturn V rocket. There are planets and spaceships sticking out from the centerpiece. This attraction is roughly in the center of Tomorrowland and clearly depicts the space theme of the land. After the United States sent a manned mission to the moon in 1969 and six more before 1972, the moon was no longer of interest. Now, Mars was next! In the 1970s, we set our space sights on Mars. The Soviet Union was the first to make a successful Mars landing, but the American Viking lander also made it to Mars. In June 1975, Mission to Mars opened in the same place as Flight to the Moon. In fact, the attraction was so similar that most guests couldn’t differentiate the two. Instead of a moon flight, guests experienced a Mars flight. Mission to mars closed in 1993 not because people were no longer fascinated with the red planet, but more so because it became outdated. Space Mountain opened January 15th, 1975 as part of the Tomorrowland completion. Space Mountain was an original Walt Disney concept, but, as with many of his other ideas, the technology to make his dreams reality wasn’t available yet. By the opening of Magic Kingdom, it was. Here’s what Space Mountain looked like when it opened- not much has changed! Space Mountain, Disney World’s first “mountain” attraction and first thrill ride, takes riders through space aboard rocket cars flying by stars, meteors, and more. The ride was first sponsored by RCA then FedEx, and is now unsponsored. One unique aspect about Space Mountain is that it can be seen internally by the Tomorrowland Transit Authority PeopleMover – the only such attraction. TTA riders can see the original concept for EPCOT and even some of the space projections as they pass through. Meanwhile, Walt’s Imagineers started working on EPCOT Center. Future World would showcase technology, science, and more. Part of that would be space! Century III would be a forward-looking attraction for guests who had just celebrated the United States’ bicentennial. It would take a “look back” over the 100 years between the bicentennial and the tricentennial. The attraction would feature a massive screen more than eight stories high that would lead guests on an ascent into Future House where riders would see views as large as those of outer space and as small as views inside a molecule. Guests could also see the future of urban development, which was a central theme of Walt’s view of EPCOT. Century III depicted several kinds of lifestyles of the future including undersea, underground, and space living, desert farming, hobbies, cooking, music, work, health, manufacturing, mining in space, and more! If none of this sounds familiar, its because the attraction never happened even though it was in the final planning stages. Part of the concern with Century III was that the name and the content wouldn’t resonate with foreign guests, of which there are a lot in Disney World! 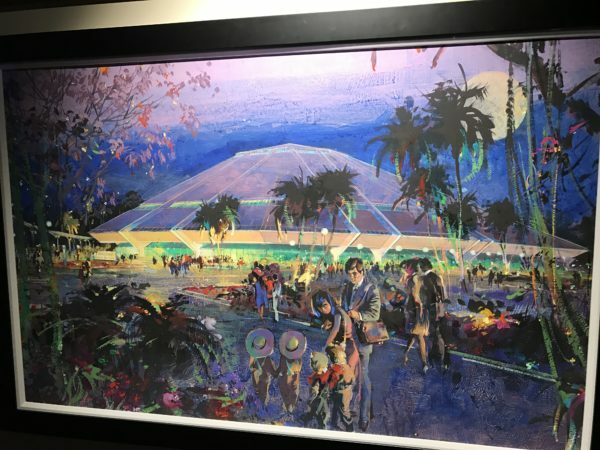 This Horizons concept art by Herbert Ryman was on display at the Epcot International Festival of the Arts 2017. Instead, Horizons took shape. Some of the elements of Century III made it into Horizons, which opened exactly one year after EPCOT Center. The name made sense because “there’s always another horizon in the distance”. The theme of Horizons was that the future is achievable based on existing technology, and it was appropriately sponsored by General Electric. The omnimover ride started with “Looking Back at Tomorrow” with visions of the future from the 1950s. It was originally proposed that Horizons would be the sequel to The Carousel of Progress in Magic Kingdom, and the Great Big Beautiful Tomorrow theme song was even played during this section. (If you want to hear the exact version played in Horizons, listen to the song coming from the radio in the first act of Carousel of Progress.) Then riders moved by two huge Omnimax screens showing modern technology and ideas for the future. From the idea of Century III, guests would see futuristic cities undersea, in space, and in the desert. At the time, Horizons was the only attraction in Disney World with multiple endings; guests could select the path they wanted to take back to Future Port much as you do now in Spaceship Earth. Horizons closed in 1994 (after 12 years of operation) when GE ended their sponsorship. However, it reopened without a sponsor in 1995 when two other attractions, Universe Of Energy, and World of Motion, closed. Horizons closed permanently on January 9th, 1999. The building had major structural problems especially with the roof, and the building was unoccupied for more than a year. Back over in Magic Kingdom… ExtraTERRORestrial Alien Encounter was the next attraction to inhabit the same pavilion in Tomorrowland. It opened in 1994 for previews, closed a month later to intensify the experience, and reopened in June as part of New Tomorrowland. Michael Eisner wanted a very intense attraction to really wow guests, and he got it. 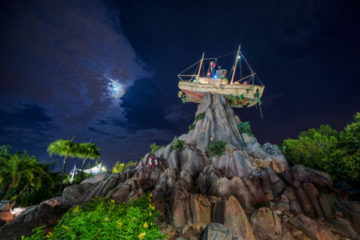 In fact, the attraction came with a posted warning that it is not intended for children under 12 years of age even though it had a height requirement of 48”, which could accommodate even a very tall child. 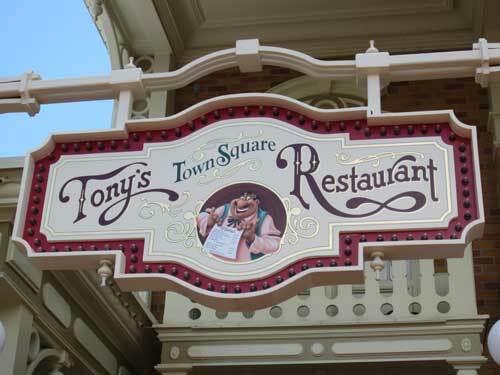 The building was the same as the attraction’s predecessors, but the pre-shows and the main show were completely changed. 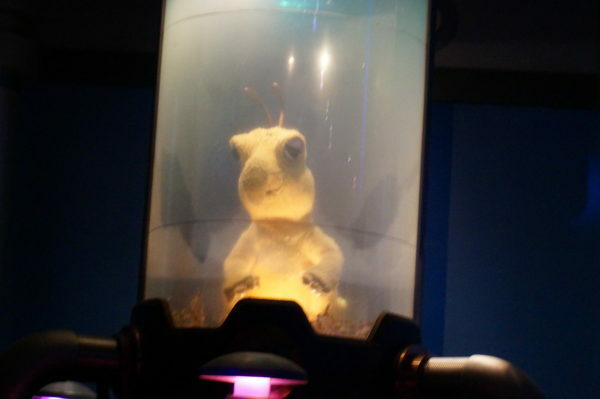 ExtraTERRORestrial mocked the previous attraction asking whether Mission to Mars was history or a hoax then showed some cute animatronic alien named Skippy who appeared charred and disoriented after being teleported across the room. When guests made it to the main showroom, they were strapped into their seats, which surrounded a large plastic tube used for teleportation purposes. A very tall and very intimidating alien is loaded into the tube, and guests are told that they will witness this alien being teleported. Something goes terribly wrong, and the alien escapes. The rest of the show takes place in nearly total darkness, but you can hear and feel what appears to be the alien mauling the chairman and attacking other guests. The attraction was so intense that many adults didn’t want to ride it, and it closed on October 12th, 2003. Just one month after ExtraTERRORestrial closed, Stitch’s Great Escape occupied the space in Tomorrowland. 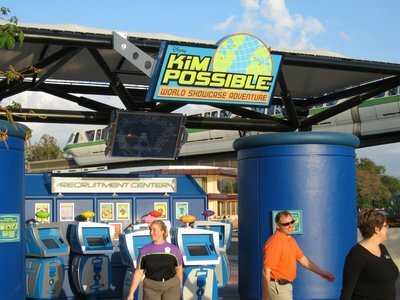 The attraction was based off of the popular 2002 moving with a cute, blue alien who had found his family in Hawaii but not without wreaking havoc on Earth. The building again was unchanged, but the show was dialed back significantly. Stitch appears harmless, and even though he escapes, he doesn’t try to hurt anyone. Instead, his chili dog burps smell bad, he tickles heads, and destroys a cell phone. He also runs across the shoulder harnesses (recycled from ExtraTERRORestrial) and evades laser cannons before escaping in Disney World and approaching Cinderella claiming to be Prince Charming. Have you ever wondered what an alien looks like… and how it might behave? ExtraTERRORestrial and Stitch’s Great Escape helps guests imagine exactly this. Stitch’s Great Escape has received negative reviews since the very beginning and has been operating seasonally since October, 2016. Back in Epcot… Horizons was demolished to make space for the next space attraction in Epcot. Mission: SPACE opened on the footprint of Horizons in 2003. 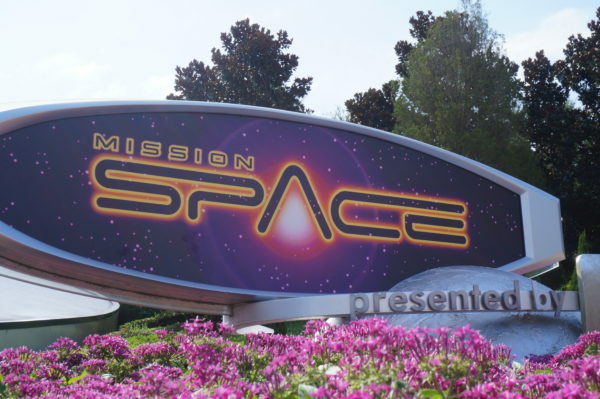 Mission: SPACE is a motion simulator attraction that mimics a space mission to Mars. Disney even partnered with NASA astronauts to make the attraction as realistic as possible. When the astronauts rode the complete attraction, they said that it was as realistic as any regular citizen could experience. Mission: SPACE gives guests a realistic rocket launch experience! Mission: SPACE is infamous for making would-be astronauts queasy, so Disney introduced a non-spinning version in 2006. At that time, the Orange team was the full experience attraction, and the Green team was the toned-down attraction. 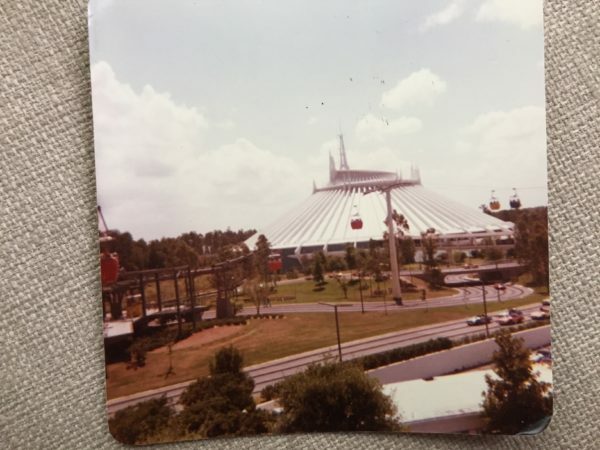 About a decade later, Disney realized that it wasn’t realistic to fly to Mars without “spinning”, so they decided to change the attraction up a bit. The Orange team attraction remained the same, but the Green team attraction became a flight through Earth’s Orbit during which guests could see the Hawaiian Islands, the Italian Peninsula, and the Northern Lights with a landing at Kennedy Space Center. So far, our discussion has centered around Magic Kingdom and Epcot because until 1989, those were the only two parks in Disney World. When Disney’s Hollywood Studios opened in 1989 with a “movie” theme, the options were endless since anything can be part of the movies. Star Wars had, by that time, established itself as a major movie series. It seemed logical to include it in the park. Star Tours will be absorbed into a larger Star Wars: Galaxy’s Edge land in August. Star Tours opened on December 15th, 1989, just months after the park opened its doors. While the attraction was supposed to be based on Disney’s live-action film, The Black Hole, Disney decided against it after the movie wasn’t a success and the concept would have cost too much. Instead, George Lucas, who was already consulting on Captain EO in Disneyland, designed a first-person perspective film that could be projected inside a simulator, which was already the plan for The Black Hole. To complete the attraction, a programmer sat inside the simulator, watched the film, and used a joystick to sync the movement. Over the years, Star Tours has evolved adding new scenes as movies were released. 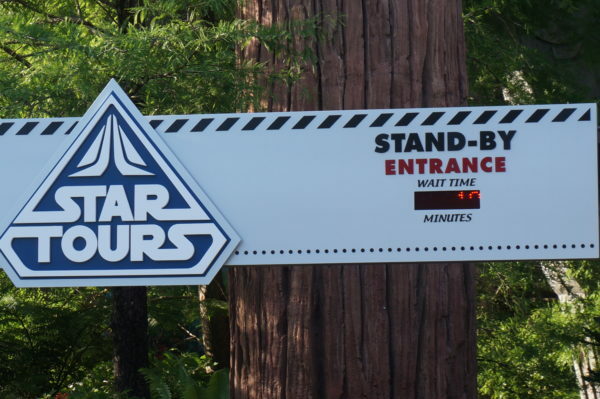 Currently, the attraction is called Star Tours – The Adventures Continue. 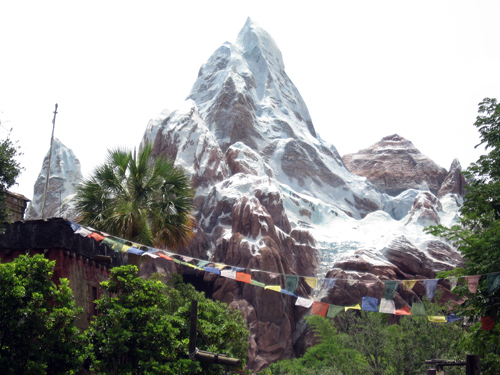 Disney’s Animal Kingdom opened in 1998. 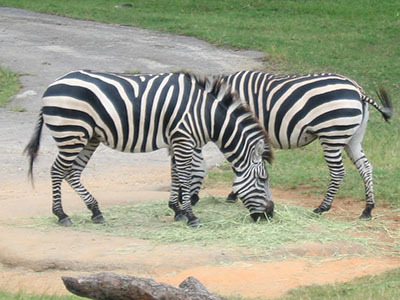 When the park first opened, it was dedicated to animals “real, ancient, and imagined”. While Walt wanted to focus on science-factual (not science fictional), guests wanted fantasy, Imagination, and make believe. The “mythical” part took 20 years to fulfill, but on May 27th, 2017, Pandora – The World of Avatar opened! Travel to the Pandoran moon with Alpha Centauri Expeditions! The new lands of Disney World are more cohesive than previously. There are two attractions in Pandora: Na’vi River Journey and Flight of Passage. 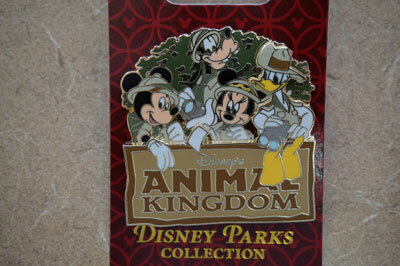 Each one contributes to the overall story, and the land itself is highly themed. In Pandora, the story follows where Avatar the movie left off. 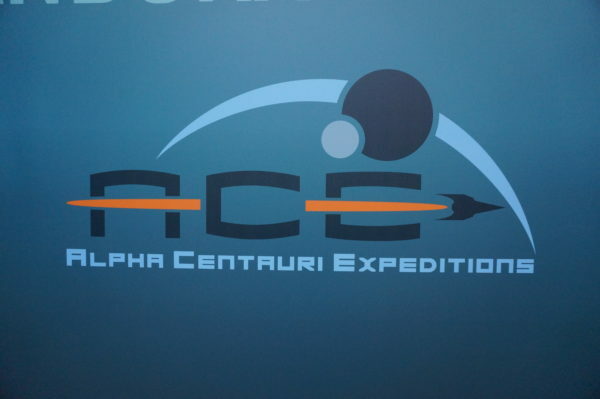 You can now explore the galactic moon with the help of ACE, who is trying to improve relations with the Na’vi people. You can ride through a bioluminescent forest and bond with a banshee of your own during Flight of Passage. This science-fiction attraction imagines what it would be like if we found alien life on a foreign landmass. The newest space-themed area will be Star Wars: Galaxy’s Edge, which will open in August 2019 in phases. Black Spire Outpost will welcome you to the Star Wars land. 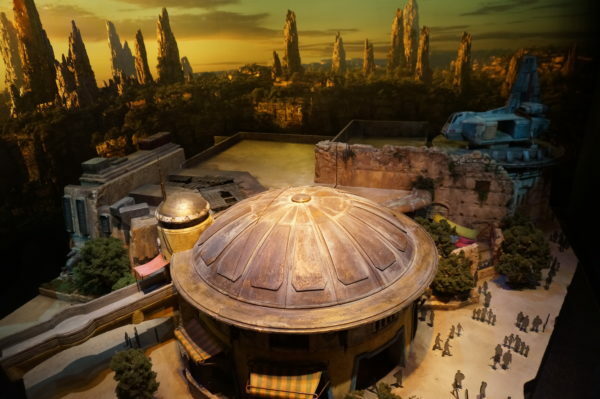 This is the largest settlement on the planet of Batuu, and it’s also the headquarters for some pretty shady characters. As with Pandora, the rides are only part of the attraction. Guests will be able to decode, translate, and assist in transmissions to support either the First Order or the Resistance, and your actions will determine who comes out victorious. This concept model inside Walt Disney Presents gives us an idea of what the land will look like when it opens in August! Rise of the Resistance and Millennium Falcon: Smugglers Run will contribute to the story, and they’ll also boost understanding of the land as a whole. Star Tours will also be absorbed into Galaxy’s Edge! Along with the new land in the park, there will also be a Star Wars Hotel, though very few details have been released at this point! Disney World may be largely based on fantasy, though attractions like Mission: SPACE are very real, Disney also prides itself on embracing reality too. As part of the Disney Cruise Line, you can take an Adventures by Disney excursion to the Kennedy Space Center during which you’ll see an IMAX movie with footage from NASA astronauts, an in-depth look at a working space facility, tributes to the history of the US Space program, real space shuttles old and new, and more. There are many more “space” attractions in Disney World including Buzz Lightyear’s Space Ranger Spin and Spaceship Earth, but we tried to focus on those that were more legitimately “space” themed. I hope you enjoyed this walk thorugh the history of space in Disney World! What’s your favorite space-themed attraction in Disney World?